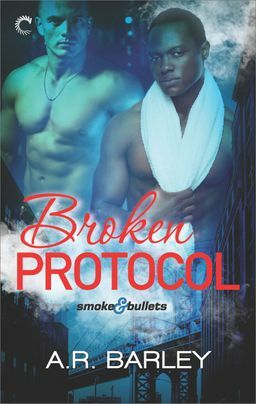 Dante Green’s a police officer with a solid career—a career that for the past ten years has kept him far away from the one temptation he won’t let himself give in to: his younger foster brother. But when he bumps into the now-out-and-proud firefightewwwwr at Smoke & Bullets, he finds himself wrestling with fantasies and desires he thought were long behind him. Luke Parsons fell in lust with Dante when he was thirteen years old, but he’s not a kid anymore. He’s a New York City firefighter, and he’s done chasing after things he can’t have. Until he and Dante witness a hate crime, and it becomes clear that Dante might not be as straight as Luke always thought. With Luke to introduce him to the local gay scene, Dante dives into an unsanctioned investigation as the attraction between them grows. Unfortunately, Luke is completely and totally off-limits. Dating him would be a betrayal of their foster father’s trust. But Luke isn’t about to let anything get in the way of their happily-ever-after—even Dante’s fear of commitment.